Angiospasm or vasospasm is completely related to the high blood pressure condition that results in slow or quick contraction in the blood vessels. When this health disorder happens, then patients have many mental and health problems that may be lasting diseases. Angiospasm is one of the most chronic and dangerous disorder in human beings. There are also several stages of angiospasm that start from a consistent increase in blood pressure. If you are hyper and worried, then your blood pressure will be higher that can result in angiospasm. It is easy to treat this disease in the first stage and it becomes critical in further stages. Contraction of blood vessels due to high blood pressure can happen and it leads to most serious conditions. Angiospasm may occur due to excessive use of tobacco and some other reasons. It is not only a blood vessel contraction, but it also leads to many harmful disorders like tissue death as well as tissue ischemia. When a person becomes hyper, his/her blood pressure increases rapidly that results in heart pain due extra load on cardiac muscles. 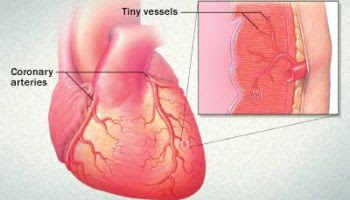 If this condition remains persistent, then contraction of blood vessels cause irreversible damage to cardiac muscles. • Shortness of breath etc. • Shortage of minerals, vitamins, amino acids and fiber etc. • Take an excessive quantity of fresh juices etc.